Let’s face it. 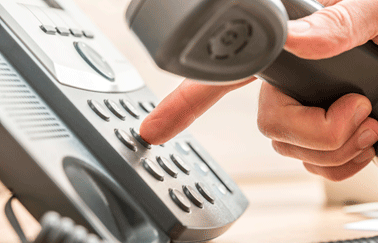 Making cold calls by phone can be intimidating. Some new real estate agents are shy about calling strangers on the phone. Others may be worried about receiving negative reactions. Whatever doubts you may have, just know that cold calling is a good source for picking up new listings. It can be especially valuable when you are new to real estate, trying to get your career off the ground. This real estate cold calling script focuses on unlisted homeowners thinking of selling soon. And it works. It is effective because it is quick and direct. Because it is fast, you can make substantially more cold calls every day. Cold calling experts throughout the sales industry have shared their secrets in books, videos, sales training courses, forums, and blogs for years. Nearly all of them agree that the most important thing about cold calling is the script. You need to have a well-written script to follow when making real estate cold calls. Without a script, you will fumble words or forget important suggestions that can make you sound foolish. Why is this real estate cold calling script so effective? The difference between being able to make 50 or 200 calls per day depends on the length of your script. Your real estate cold calling script needs to be fast! Asking too many questions or wanting to know what each caller thinks takes up too much time. Some people can be easily offended, while others hate all solicitation phone calls. Certain people are just jerks because that is what they are. You will never convince these people to do anything anyway. So don’t worry about them. This script is very short to save time. Longer real estate cold calling scripts that take more time will only annoy those who have no interest in selling. Because this script is short, most people would reply with something like this, “Oh, no we don’t want to move now.” You reply, “Fine, have a good day!” With such a short call, you will often hear them say, “Okay, thank you,” because they weren’t annoyed. 3. It’s tactful and understandable. This real estate cold calling script was created to make sense so the homeowner is not confused. The message implies “real estate” and “sell” with “soon” and “yes or no” very quickly. This is an uncomplicated message. Cold calling to homeowners who are confused results in more time explaining who you are and why you are calling, which is a waste of your time. You want the homeowner to understand immediately and clearly why you are calling. There is a reason for the pause. Most cold call recipients are distracted from something they are doing or thinking about, which can make the beginning of your call confusing to them. The pause helps them understand that you are a real estate agent. When answering the phone, the average mind needs a few seconds to absorb the spoken words so they know who the caller is. Once they know who you are, they know the call is about real estate. Instantly the homeowner’s mind is prepared that this is a conversation about real estate. Never lie to a prospective listing. Calling “hot” neighborhoods always means there are prospective buyers wanting to live there. One advantage of being a member of a Multiple Listing Services (MLS) is that you have access to listings in every “hot” neighborhood where buyers want to live. Therefore, when you say, “Yes, I am calling because my company has buyers looking for a home in your neighborhood,” the homeowner already knows you are a real estate agent. This sentence informs them you have buyers looking in their neighborhood. Naturally, the homeowner will conclude you are calling to see if he or she wants to sell. 5. It forces a fast response. Starting a career in real estate? Browse our blog for tips and tools to help launch your real estate career. Download our free guide: Is a Real Estate Career Right for You? Article by Steven Rich. Steven Rich, MBA has over three years of experience as a successful real estate agent. He was awarded the Top Condo Salesperson for two of those years by his real estate company. Steven has served as Associate Editor for a real estate magazine and is the author of a 104-page e-book How to Buy, Develop, Lease, and Sell Real Estate.